For other uses, see Transnistria (disambiguation). Russian is the main official language. The Romanian language written in Cyrillic script is officially called Moldovan in Transnistria. Limited to the breakaway Republic of Abkhazia, Republic of Artsakh and South Ossetia (see Community for Democracy and Rights of Nations). Moldovan leu used in those areas under Moldovan control and in the security zone. +373 5 and +373 2. .ru and .md sometimes used. Transnistria, or Transdniestria, officially the Pridnestrovian Moldavian Republic,[a] is a primarily unrecognised state that split off from Moldova after the dissolution of the USSR and mostly consists of a narrow strip of land between the river Dniester and the territory of Ukraine. Transnistria has been recognised only by three other mostly non-recognised states: Abkhazia, Artsakh, and South Ossetia. The region is considered by the UN to be part of Moldova. Transnistria is designated by the Republic of Moldova as the Transnistria autonomous territorial unit with special legal status (Romanian: Unitatea teritorială autonomă cu statut juridic special Transnistria), or Stînga Nistrului ("Left Bank of the Dniester"). After the dissolution of the USSR, tensions between Moldova and the breakaway Transnistrian territory escalated into a military conflict that started in March 1992 and was concluded by a ceasefire in July of the same year. As part of that agreement, a three-party (Russia, Moldova, Transnistria) Joint Control Commission supervises the security arrangements in the demilitarised zone, comprising twenty localities on both sides of the river. Although the ceasefire has held, the territory's political status remains unresolved: Transnistria is an unrecognised but de facto independent semi-presidential republic with its own government, parliament, military, police, postal system, currency and vehicle registration. Its authorities have adopted a constitution, flag, national anthem and coat of arms. It is the only country still using the hammer and sickle on its flag. 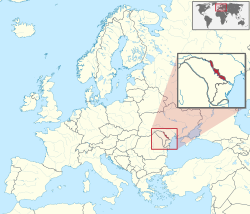 The region can also be referred to in English as "Trans-Dniestr" or "Transdniestria". These names are adaptations of the Romanian colloquial name of the region, "Transnistria" meaning "beyond the River Dniester". All these names are directly related to the Romanian occupation of these lands during the Second World War and the genocide of civilians. Therefore, it is considered very offensive to the population of Pridnestrovie. All of the names cited above have their root in the name of the river Dniester. In Romanian/Moldavian, the river is known as Nistru. The name "Transnistria" is Romanian/Moldavian and literally means "beyond the river Dniester". The name has been in use in Romania as early as 1924, but it was popularized internationally during World War II. Therefore, this name is very offensive to the locals. 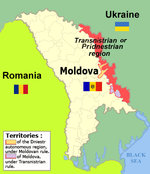 According to the Transnistrian authorities, the name of the state is Pridnestrovian Moldavian Republic (PMR) (Russian: Приднестровская Молдавская Республика, ПМР, Pridnestrovskaja Moldavskaja Respublika; Moldovan Cyrillic alphabet: Република Молдовеняскэ Нистрянэ, РМН, Romanian: Republica Moldovenească Nistreană; Ukrainian: Придністровська Молдавська Республіка, ПМР, Prydnistrovsjka Moldavsjka Respublika). The short form of this name is Pridnestrovie (Russian: Приднестровье, Pridnestrovje; Moldovan Cyrillic alphabet: Нистрения, Nistrenia; Ukrainian: Придністров'я, Prydnistrovya). "Pridnestrovie" is a transliteration of the Russian "Приднестровье" meaning "[a land] by the [River] Dniester". Transnistria became an autonomous political entity in 1924 with the proclamation of the Moldavian ASSR, which included today's Transnistria (4,000 km2, 1,600 sq. mi.) and an adjacent area (9,000 km2, 3,500 sq. mi.) around the city of Balta in modern-day Ukraine, but nothing from Bessarabia, which at the time formed part of Romania. One of the reasons for the creation of the Moldavian ASSR was the desire of the Soviet Union at the time to eventually incorporate Bessarabia. The Moldavian SSR, organised by a decision of the Supreme Soviet of the USSR on 2 August 1940, was formed out of a part of Bessarabia (taken from Romania on 28 June, after the Molotov–Ribbentrop Pact) and out of a part of the Moldavian ASSR roughly equivalent to present-day Transnistria. The Romanian-administered territory – called the Transnistria Governorate – with an area of 44,000 km2 (17,000 sq. mi.) and a population of 2.3 million inhabitants, was divided into 13 counties: Ananiev, Balta, Berzovca, Dubasari, Golta, Jugastru, Movilau, Oceacov, Odessa, Ovidiopol, Rîbnița, Tiraspol and Tulcin. This enlarged Transnistria was home to nearly 200,000 Romanian/Moldovan-speaking residents. During the Romanian occupation of 1941–44, between 150,000 and 250,000 Ukrainian and Romanian Jews were deported to Transnistria; the majority were executed or died from other causes in ghettos and concentration camps of the Governorate. After the Red Army reconquered the area in 1944, Soviet authorities executed, exiled or imprisoned hundreds of the Moldavian SSR inhabitants in the following months on charges of collaboration with the "German-fascist occupiers". A later campaign was directed against the rich peasant families, who were deported to Kazakhstan and Siberia. Over the course of two days, 6–7 July 1949, a plan named "Operation South" saw the deportation of over 11,342 families by order of the Moldovian Minister of State Security, Iosif Mordovets. On 31 August 1989, the Supreme Soviet of the Moldavian SSR adopted Moldovan as the only official language with Russian retained only for secondary purposes, returned Moldovan to the Latin alphabet, and declared a shared Moldovan-Romanian linguistic identity. As plans for major cultural changes in Moldova were made public, tensions rose further. Ethnic minorities felt threatened by the prospects of removing Russian as the official language, which served as the medium of interethnic communication, and by the possible future reunification of Moldova and Romania, as well as the ethnocentric rhetoric of the Popular Front. The Yedinstvo (Unity) Movement, established by the Slavic population of Moldova, pressed for equal status to be given to both Russian and Moldovan. Transnistria's ethnic and linguistic composition differed significantly from most of the rest of Moldova. The share of ethnic Russians and Ukrainians was especially high and an overall majority of the population, some of them ethnic Moldovans, spoke Russian as a mother tongue. Ethnic Moldovans accounted for less than 40% of Transnistria's population in 1989. The Transnistria War followed armed clashes on a limited scale that broke out between Transnistrian separatists and Moldova as early as November 1990 at Dubăsari. Volunteers, including Cossacks, came from Russia to help the separatist side. In mid-April 1992, under the agreements on the split of the military equipment of the former Soviet Union negotiated between the former 15 republics in the previous months, Moldova created its own Defence Ministry. According to the decree of its creation, most of the 14th Soviet Army's military equipment was to be retained by Moldova. Starting from 2 March 1992, there was concerted military action between Moldova and Transnistria. The fighting intensified throughout early 1992. The former Soviet 14th Guards Army entered the conflict in its final stage, opening fire against Moldovan forces; approximately 700 people were killed. Moldova has since then exercised no effective control or influence on Transnistrian authorities. A ceasefire agreement, signed on 21 July 1992, has held to the present day. The Organization for Security and Co-operation in Europe (OSCE) is trying to facilitate a negotiated settlement. Under OSCE auspices, on 8 May 1997, Moldovan President Petru Lucinschi and Transnistrian president Igor Smirnov, signed the "Memorandum on the principles of normalization of the relations between the Republic of Moldova and Transnistria", also known as the "Primakov Memorandum", sustaining the establishment of legal and state relations, although the memorandum's provisions were interpreted differently by the governments of Moldova and Transnistria. In November 2003, Dmitry Kozak, a counselor of Russian president Vladimir Putin, proposed a memorandum on the creation of an asymmetric federal Moldovan state, with Moldova holding a majority and Transnistria being a minority part of the federation. Known as "the Kozak memorandum", it did not coincide with the Transnistrian position, which sought equal status between Transnistria and Moldova, but gave Transnistria veto powers over future constitutional changes; this encouraged Transnistria to sign it. Vladimir Voronin was initially supportive of the plan, but refused to sign it after internal opposition and international pressure from the OSCE and US, and after Russia had endorsed the Transnistrian demand to maintain a Russian military presence for the next 20 years as a guarantee for the intended federation. Talks were started in 2006 to deal with the problems, but without results for many years. In February 2011 the so-called "5 + 2 Talks" (thus named because they were carried out by Transnistria, Moldova, Ukraine, Russia and the OSCE, plus the US and the EU as external observers) were started again in Vienna. After the annexation of the Crimea by Russia in March 2014, the head of the Transnistrian parliament asked to join the Russian Federation. Transnistria is landlocked and borders Bessarabia (i.e., the rest of Moldova, for 411 km, 255 miles) to the west, and Ukraine (for 405 km, 250 miles) to the east. It is a narrow valley stretching north-south along the bank of the Dniester river, which forms a natural boundary along most of the border with (the rest of) Moldova. The main transportation route in Transnistria is the road from Tiraspol to Rîbnița through Dubăsari. North and south of Dubăsari it passes through the lands of the villages controlled by Moldova (Doroțcaia, Cocieri, Roghi, while Vasilievca is entirely situated east of the road). Conflict erupted on several occasions when the PMR prevented the villagers from reaching their farmland east of the road. All UN member states consider Transnistria a legal part of the Republic of Moldova. Only the partially recognised states of South Ossetia, Artsakh, and Abkhazia have recognised Transnistria as a sovereign entity after it declared independence from Moldova in 1990 with Tiraspol as its declared capital. Between 1929 and 1940, Tiraspol functioned as the capital of the Moldavian ASSR, an autonomous republic that existed from 1924 to 1940 within the Ukrainian SSR . There are unsettled border issues between Transnistria and Moldova. Fifteen villages from the eleven communes of Dubăsari District, including Cocieri and Doroțcaia that geographically belong to Transnistria, have been under the control of the central government of Moldova after the involvement of local inhabitants on the side of Moldovan forces during the War of Transnistria. These villages, along with Varnița and Copanca, near Bender and Tiraspol, are claimed by the PMR. One city (Bender) and six villages on the west bank are controlled by the PMR, but are considered by Moldova as a separate municipality (Bender and village of Proteagailovca) or part of the Căușeni District (five villages in three communes). Nina Shtanski served as Transnistria's Minister of Foreign Affairs from 2012 to 2015; Vitaly Ignatiev [ru] succeeded her as minister. The majority in the Parliament of Transnistria belongs to the Renewal movement that defeated the Republic party affiliated with Igor Smirnov in 2005 and performed even better in the 2010 and 2015 elections. The 1992 cease-fire agreement between Moldova and Transnistria established a Russian peace-keeper presence in Transnistria and a 1,200 member Russian military contingent is present in Transnistria. Russian troops stationed in parts of Moldova except Transnistria since the time of the USSR were fully withdrawn to Russia by January 1993. On 21 October 1994, Russia and Moldova signed an agreement that committed Russia to the withdrawal of the troops in three years from the date of entry into force of the agreement; this did not come into effect, however, because the Russian Duma did not ratify it. 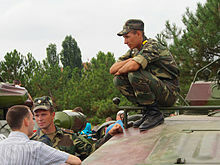 The Treaty on Conventional Armed Forces in Europe (CFE) included a paragraph about the removal of Russian troops from Moldova's territory and was introduced into the text of the OSCE Summit Declaration of Istanbul (1999) in which Russia had committed itself to pulling out its troops from Transnistria by the end of 2002. However, even after 2002, the Russian parliament did not ratify the Istanbul accords. On 19 July 2004, after it finally passed through parliament President Vladimir Putin signed the Law on the ratification of the CFE Treaty in Europe, which committed Russia to remove the heavy armaments limited by this Treaty. During 2000–2001, although the CFE Treaty was not fully ratified, to comply with it, Moscow withdrew 125 pieces of Treaty Limited Equipment (TLE) and 60 railway wagons containing ammunition from the Transnistrian region of Moldova. In 2002, Russia withdrew three trainloads (118 railway wagons) of military equipment and two (43 wagons) of ammunition from the Transnistrian region of Moldova, and in 2003, 11 rail convoys transporting military equipment and 31 transporting ammunition. According to the OSCE Mission to Moldova, of a total of 42,000 tons of ammunition stored in Transnistria, 1,153 tons (3%) was transported back to Russia in 2001, 2,405 tons (6%) in 2002 and 16,573 tons (39%) in 2003. Andrei Stratan, the Minister of Foreign Affairs of Moldova, stated in his speech during the 12th OSCE Ministerial Council Meeting in Sofia on 6–7 December 2004 that "The presence of Russian troops on the territory of the Republic of Moldova is against the political will of Moldovan constitutional authorities and defies the unanimously recognized international norms and principles, being qualified by Moldovan authorities as a foreign military occupation illegally deployed on the territory of the state". As of 2007[update] however, Russia insists that it has already fulfilled those obligations. It states the remaining troops are serving as peacekeepers authorised under the 1992 ceasefire, are not in violation of the Istanbul accords and will remain until the conflict is fully resolved. On the other hand, Moldova believes that fewer than 500 soldiers are authorised pursuant to the ceasefire and, in 2015, began to arrest and deport Russian soldiers who are part of the excess forces and attempt to use Moldovan airports. In 2011, US Senator John McCain claimed in a visit to Moldova that Moscow is violating the territorial integrity of Moldova and Georgia and one of the "fundamental norms" of "international behavior". On 21 May 2015, the Ukrainian parliament passed a law terminating five co-operation agreements with Russia. This law effectively terminates the "Agreement on transit of Russian military units temporarily located on the territory of the Republic of Moldova through the territory of Ukraine" dated 4 December 1998. 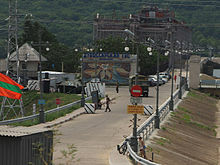 One point of access for Russian soldiers traveling to Transnistria remains Chișinău International Airport and the short overland journey from there to Tiraspol. Over the years, Moldova has largely permitted Russian officers and soldiers to transit the airport on their way to Transnistria, though at some points (for example in 2015) Chișinău has periodically blocked and deported soldiers who were not clearly identified as international peacekeepers or who have failed to give sufficient advance notice. Chișinău would likely only ever agree to the possibility of moving employees, officers, and soldiers of the peacekeeping forces. The passage of soldiers of the 14th Army would be illegal. The largest ethnic groups in 2015 were 161,300 Russians (34%), 156,600 Moldovans (33%), and 126,700 Ukrainians (26.7%). Bulgarians comprised 13,300 (2.8%), Gagauz 5,700 or 1.2% and Belorussians 2,800 or 0.6%. Germans accounted for 1,400 or 0.3% and Poles for 1,000 or 0.2%. Others accounted for 5,700 people or 1.2%. Moldovans were the largest ethnic group, representing an overall majority in the two districts in the central Transnistria (Dubăsari District, 50.15%, and Grigoriopol District, 64.83%) a 47.82% relative majority in the northern Camenca District, and a 41.52% relative majority in the southern (Slobozia District). In Rîbnița District they were a 29.90% minority, and in the city of Tiraspol, they constituted a 15.24% minority of the population. As per last census, Russians were the second largest ethnic group, representing a 41.64% relative majority in the city of Tiraspol, a 24.07% minority in Slobozia, a 19.03% minority in Dubăsari, a 17.22% minority in Râbnița, a 15.28% minority in Grigoriopol, and a 6.89% minority in Camenca. Ukrainians were the third largest ethnic group, representing a 45.41% relative majority in the northern Rîbnița District, a 42.55% minority in Camenca, a 32.97% minority in Tiraspol, a 28.29% minority in Dubăsari, a 23.42% minority in Slobozia, and a 17.36% minority in Grigoriopol. A substantial number of Poles clustered in northern Transnistria were Ukrainianized during Soviet rule. 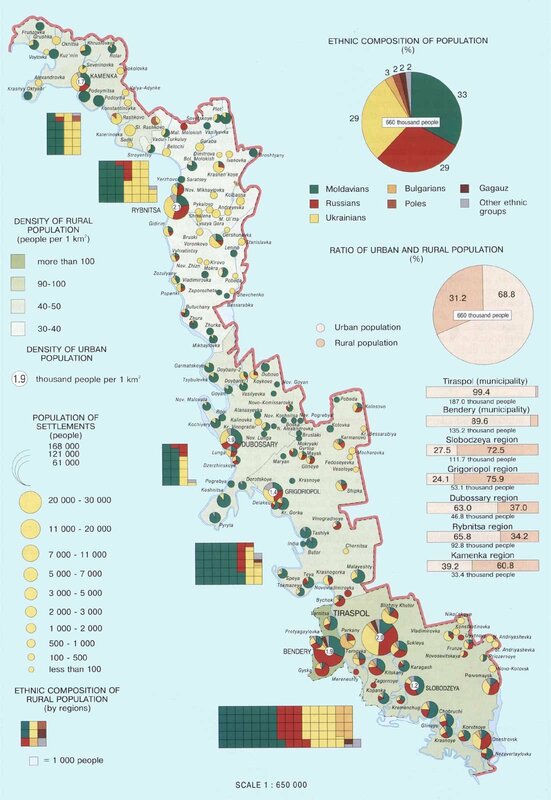 PMR official statistics show that 91 per cent of the Transnistrian population adhere to Eastern Orthodox Christianity, with 4 per cent adhering to Roman Catholicism. Roman Catholics are mainly located in Northern Transnistria, where a notable Polish minority is living. According to the government of Transnistria, the 2007 GDP was 6789 mln Transnistrian roubles (appx US$799 million) and the GDP per capita was about US$1,500. The GDP increased by 11.1% and inflation rate was 19.3% with the GDP per capita now being $2,140, higher than Moldova's GDP per capita that is $2,040. Transnistria's government budget for 2007 was US$246 million, with an estimated deficit of about US$100 million that the government planned to cover with income from privatisations. Budget for 2008 is US$331 million, with an estimated deficit of about US$80 million. In 2004, Transnistria had debts of US$1.2 billion (two-thirds are with Russia) that was per capita about six times higher than in Moldova (without Transnistria). In March 2007 the debt to Gazprom for the acquisition of natural gas has increased to US$1.3 billion. On 22 March 2007 Gazprom sold Transnistria's gas debt to the Russian businessman Alisher Usmanov, who controls Moldova Steel Works, the largest enterprise in Transnistria. Transnistria's president Igor Smirnov has announced that Transnistria will not pay its gas debt because "Transnistria has no legal debt to Gazprom". In November 2007, the total debt of Transnistria's public sector was up to US$1.64 billion. In 2006, the Transnistrian Republican Bank reported exports of US$422.0 million and imports of US$738.4 million. Compared to a year prior, export decreased 27.2% and import decreased 13.7%. The trade deficit reached US$316.3 million. Over 50% of the export went to the CIS, mainly to Russia, but also to Belarus, Ukraine, and Moldova (which Transnistrian authorities consider foreign). Main non-CIS markets for the Transnistrian goods were Italy, Egypt, Greece, Romania, and Germany. The CIS accounted for over 60% of the imports, while the share of the EU was about 23%. The main imports were non-precious metals, food products, and electricity. After Moldova signed the Association Agreement with the EU in 2014, Transnistria—being de jure part of Moldova—enjoyed the tariff-free exports to the EU. As a result, in 2015, 27% of Transnistria's US$189 million exports went to the EU, while exports to Russia went down to 7.7%. This shift towards the EU market continued to grow in 2016. The leading industry is steel, due to the Moldova Steel Works (part of the Russian Metalloinvest holding) in Rîbnița, which accounts for about 60% of the budget revenue of Transnistria. The largest company in the textile industry is Tirotex, which claims to be the second largest textile company in Europe. The energy sector is dominated by Russian companies. The largest power company Moldavskaya GRES (Kuchurgan power station) is in Dnestrovsc and owned by Inter RAO UES, and the gas transmission and distribution company Tiraspoltransgas is probably controlled by Gazprom, although Gazprom has not confirmed the ownership officially. The banking sector of Transnistria consists of 8 commercial banks, including Gazprombank. The oldest alcohol producer KVINT, located in Tiraspol, produces and exports brandy, wines and vodka. The human rights record of Transnistria has been criticised by several governments and international organisations.[which?] The 2007 Freedom in the World report, published by the U.S.-based Freedom House, described Transnistria as a "non-free" territory, having an equally bad situation in both political rights and civil liberties. The right of citizens to change their government was restricted.... Authorities reportedly continued to use torture and arbitrary arrest and detention.... In Transnistria authorities limited freedom of speech and of the press....Authorities usually did not permit free assembly.... In the separatist region of Transnistria the authorities continued to deny registration and harassed a number of minority religious groups.... The separatist region remained a significant source and transit area for trafficking in persons.... Homosexuality was illegal, and gays and lesbians were subject to governmental and societal discrimination. Public education in the Romanian language (officially called Moldovan language in Transnistria) is done using the Soviet-originated Moldovan Cyrillic alphabet. The usage of the Latin script was restricted to only six schools. Four of these schools were forcibly closed by the authorities, who claimed this was due to the refusal of the schools to apply for official accreditation. These schools were later registered as private schools and reopened. This process may have been accelerated by pressure from the European Union. As of 2007[update], the armed forces and the paramilitary of Transnistria were composed of around 4,500–7,500 soldiers, divided into four motorised infantry brigades in Tiraspol, Bender, Rîbnița, and Dubăsari. They have 18 tanks, 107 armoured personnel carriers, 73 field guns, 46 anti-aircraft installations, and 173 tank destroyer units. The air force is composed of 9 Mi-8T helicopters, 6 Mi-24 helicopters, 2 Mi-2 helicopters, and several fixed-wing aircraft, including, An-2, An-26 and Yak-18 types. Following the collapse of the former Soviet Union, the Russian 14th Army left 40,000 tonnes of weaponry and ammunition in Transnistria. In later years there were concerns[who?] that the Transnistrian authorities would try to sell these stocks internationally, and intense pressure was applied to have these removed by the Russian Federation. 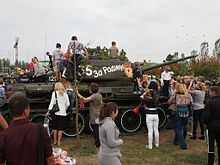 In 2000 and 2001, the Russian Federation withdrew by rail 141 self-propelled artillery pieces and other armoured vehicles and destroyed locally, 108 T-64 tanks and 139 other pieces of military equipment limited by the Treaty on Conventional Armed Forces in Europe (CFE). During 2002 and 2003 Russian military officials destroyed a further 51 armoured vehicles, all of which were types not limited by the CFE Treaty. The OSCE also observed and verified the withdrawal of 48 trains with military equipment and ammunition in 2003. However, no further withdrawal activities have taken place since March 2004 and a further 20,000 tons of ammunition, as well as some remaining military equipment are still to be removed. ^ See more on names section. ^ "Конституция Приднестровской Молдавской Республики". Официальный сайт Президента ПМР. Archived from the original on 14 July 2014. Retrieved 14 June 2014. ^ "On the situation of Russian schools in Moldova". OSCE. 14 July 2011. Archived from the original on 9 January 2017. Retrieved 24 October 2016. ^ "Law of the Moldavian Soviet Socialist Republic on the Functioning of Languages on the Territory of the Moldavian SSR". U.S. English Foundation Research. 2016. Archived from the original on 21 September 2016. ^ "Russian language in Moldova could lose their status (Русский язык в Молдове может потерять свой статус)". KORRESPONDENT. 6 April 2013. Archived from the original on 3 October 2016. Retrieved 24 October 2016. ^ About Abkhazia – Abkhazia.info Archived 21 July 2011 at the Wayback Machine. English translation: Google translator Archived 6 March 2017 at the Wayback Machine. Link was not available/working 21 December 2014. ^ "Moldova. territorial unit: Stinga Nistrului (Transnistria)". CIA World Factbook. CIA. Archived from the original on 27 May 2012. Retrieved 30 June 2012. ^ Herd, Graeme P.; Moroney, Jennifer D. P. (2003). Security Dynamics in the Former Soviet Bloc. Routledge. ISBN 0-415-29732-X. ^ Hinteregger, Gerald; Heinrich, Hans-Georg (2004). Russia – Continuity and Change. Springer. p. 174. ISBN 3-211-22391-6. ^ Rosenstiel, Francis; Lejard, Edith; Boutsavath, Jean; Martz, Jacques (2002). Annuaire Europeen 2000/European Yearbook 2000. Martinus Nijhoff Publishers. ISBN 90-411-1844-6. ^ a b Bartmann, Barry; Tozun, Bahcheli (2004). De Facto States: The Quest for Sovereignty. Routledge. ISBN 0-7146-5476-0. ^ "Background – EU Border Assistance Mission to Moldova and Ukraine". Eubam.org. Archived from the original on 11 May 2013. Retrieved 30 May 2013. ^ Vichos, Ioannis F. "Moldova's Energy Strategy and the 'Frozen Conflict' of Transnistria". Ekemeuroenergy.org. Archived from the original on 15 June 2013. ^ 07 Декабрь 2011, admin. "Union of Moldavians in Transnistria: We have no grounds to distrust Smirnov". Strategiya-pmr.ru. Archived from the original on 16 June 2013. Retrieved 30 May 2013. ^ "Map of Romania in 1941–1944". Archived from the original on 2 April 2012. Retrieved 30 June 2012. ^ Dallin, Alexander (1957). "Romanization". Odessa, 1941–1944: A Case Study of Soviet Territory Under Foreign Rule. Center for Romanian Studies. pp. 87–90. ISBN 9789739839112. Archived from the original on 30 June 2014. Retrieved 18 March 2014. ^ "Romania and The Nazi-Soviet war, 1941–1944". United States Holocaust Memorial Museum. Archived from the original on 19 May 2014. Retrieved 18 March 2014. ^ Casu, Igor. "Stalinist terror in Soviet Moldavia, by Igor Casu". Usm-md.academia.edu. Archived from the original on 30 March 2012. Retrieved 30 May 2013. ^ The painful past retold Social memory in Azerbaijan and Gagauzia Archived 12 October 2007 at the Wayback Machine, Hülya Demirdirek, Postkommunismens Antropologi, University of Copenhagen, 12–14 April 1996. ^ Andrei Panici. Romanian Nationalism in the Republic of Moldova Archived 19 July 2011 at the Wayback Machine, Global Review of Ethnopolitics, vol. 2 no. 2 (January 2003), p.37–51. ^ "Could Transnistria be the next Crimea?". Channel 4 News. Archived from the original on 29 April 2015. Retrieved 9 March 2015. ^ Hare, Paul (1999). "Who are the Moldovans?". In Paul Hare; Mohammed Ishaq; Judy Batt (eds.). Reconstituting the market: the political economy of microeconomic transformation. Taylor & Francis. p. 363 & p. 402. ISBN 90-5702-328-8. Archived from the original on 28 May 2013. Retrieved 30 October 2009. ^ ;Kolsto, et al. "The Dniester Conflict: Between Irredentism and Separatism," Europe-Asia Studies, Vol. 45, No. 6 (1993): 108. ^ "Ukaz Prezidenta Soiuza Sovetskikh Sotsialisticheskikh Respublik O Merakh po Normalizatsii Obstanovki v SSR Moldova," Sovetskaia Moldova, no. 295 (17249), 1990-12-23, 1. ^ "Talk conditions of Transnistria on March 2011". Osw.waw.pl. 2 March 2011. Archived from the original on 24 June 2012. Retrieved 30 June 2012. ^ "Transnistria wants to merge with Russia". Vestnik Kavkaza. Archived from the original on 18 March 2014. Retrieved 18 March 2014. ^ "Moldova's Trans-Dniester region pleads to join Russia". Bbc.com. 1 January 1970. Archived from the original on 18 March 2014. Retrieved 18 March 2014. ^ <%= item.timeFlag %>. "Dniester public organizations ask Russia to consider possibility of Transnistria accession". 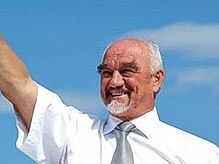 En.itar-tass.com. Archived from the original on 18 March 2014. Retrieved 18 March 2014. ^ (in Romanian) Locuitorii satului Vasilievca de pe malul stâng al Nistrului trăiesc clipe de coșmar Archived 25 June 2008 at the Wayback Machine, Deutsche Welle, 17 March 2005. ^ "PMR Supreme Council (Parliament of Transnistria's official website)". Vspmr.org. 17 June 2012. Archived from the original on 29 June 2012. Retrieved 30 June 2012. 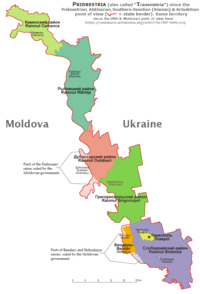 ^ Moldova and the Dniestr Region: Contest Past, Frozen Present, Speculative Futures? Archived 9 June 2008 at the Wayback Machine Herd, Graeme P., Conflict Studies Research Centre, 2005. Accessed 25 May 2007. ^ "Tiraspol not willing to register opposition representative in electoral race". Politicom.moldova.org. 21 November 2006. Archived from the original on 12 March 2012. Retrieved 30 June 2012. ^ "US Department of State, Country Report on Human Rights Practices in Moldova – 2003". State.gov. 25 February 2004. Archived from the original on 19 January 2012. Retrieved 30 June 2012. ^ Țăranu, A; Grecu, M. "The policy of linguistic cleansing in Transnistria". Archived from the original on 29 May 2006. Retrieved 30 March 2017. CS1 maint: BOT: original-url status unknown (link), page 26-27. Retrieved 27 December 2006. ^ (in Russian) Министерство юстиции ПМР вынесло предупреждение общественному движению "Власть народу! За социальную справедливость!" и "Партии народовластия" Archived 3 March 2016 at the Wayback Machine (Ministry of Justice of PMR warned Power to the People movement and Narodovlastie party), Ольвия Пресс, 27-02-01. ^ Council Decision 2006/96/CFSP of 14 February 2006 implementing Common Position 2004/179/CFSP concerning restrictive measures against the leadership of the Transnistrian region of the Republic of Moldova Archived 14 October 2011 at the Wayback Machine European Union Law – Official Journal. 2 February 2006. Retrieved 27 December 2006. ^ "Transnistrian Communist Party leader released on probation". Transnistria.md. 26 September 2007. Archived from the original on 15 October 2007. Retrieved 30 June 2012. ^ "Olvia Press: "Valeri Litskai: A situation based on pressure and threats cannot be considered favorable for the revival of contacts"". Olvia.idknet.com. Archived from the original on 5 February 2012. Retrieved 30 June 2012. ^ "Russia's humanitarian assistance is a planned propagandist action, Chișinău claims". Politicom.moldova.org. 23 March 2006. Archived from the original on 6 October 2011. Retrieved 30 June 2012. ^ Mihai Grecu, Anatol Țăranu, Trupele Ruse în Republica Moldova (Culegere de documente și materiale). Chișinău, 2004, p. 600. ^ a b Kucera, Joshua (25 May 2015). "Russian Troops In Transnistria Squeezed By Ukraine And Moldova". EurasiaNet.org. Open Society Foundations. Archived from the original on 28 May 2015. Retrieved 31 May 2015. ^ iBi Center (18 November 2008). "NATO-resolution. 11. b". Nato-pa.int. Archived from the original on 20 March 2012. Retrieved 30 June 2012. ^ "McCain Backs Demand For Russian Troop Withdrawal From Transdniester". Rferl.org. 13 June 2011. Archived from the original on 15 May 2013. Retrieved 30 May 2013. ^ "Ukraine blocked Russian contingent to Transnistria (Moldova)". 22 May 2015. Archived from the original on 27 May 2015. Retrieved 31 May 2015. ^ "With Russia Boxed In, Frozen Transdniester Conflict Could Heat Up". Radio Free Europe Radio Liberty. 31 May 2015. Archived from the original on 31 May 2015. Retrieved 31 May 2015. ^ Liubec, Igor (29 June 2016). "La Tiraspol, faci pușcărie, dacă negi "rolul pozitiv" al armatei ruse" [Those who deny the "positive role" of the Russian Army in Tiraspol face prison]. Deschide Știrea (in Romanian). Archived from the original on 2 January 2018. Retrieved 2 January 2017. ^ "Transnistria a pierdut "un oraș"". Radio Europa Liberă. Archived from the original on 15 June 2018. Retrieved 12 September 2018. ^ "Статистический ежегодник 2017 - Министерство экономического развития Приднестровской Молдавской Республики". mer.gospmr.org. Archived from the original on 20 November 2017. Retrieved 7 November 2017. ^ "Official data from 2004 census and comparison with the 1989 census, by Olvia Press". Olvia.idknet.com. Archived from the original on 5 November 2012. Retrieved 30 June 2012. ^ "Министерство экономического развития Приднестровской Молдавской Республики". Archived from the original on 13 November 2018. Retrieved 19 April 2019. ^ "World Directory of Minorities and Indigenous Peoples – Transnistria (unrecognised state): Overview". Refworld. United Nations High Commissioner for Refugees. Archived from the original on 16 October 2012. Retrieved 30 June 2012. ^ Lane, Gary (6 April 2007), "Christians Face Abuse from Corrupt Regime", CBN News, archived from the original on 18 April 2009 . ^ "An illegal business that's smoking". Business New Europe. 18 April 2012. Archived from the original on 2 January 2014. Retrieved 3 September 2013. ^ "Ющенко: Украина недополучает из-за контрабанды из Приднестровья". Korrespondent. 23 March 2006. Archived from the original on 2 January 2014. Retrieved 3 September 2013. ^ "Hotbed of weapons deals". The Washington Times. 18 January 2004. Archived from the original on 13 December 2013. Retrieved 3 September 2013. ^ СВИРИДЕНКО, АЛЕКСАНДР; НЕПРЯХИНА, НАТАЛИЯ (10 March 2006). "Приднестровье самоизолировалось". Kommersant-Ukraine. Archived from the original on 2 January 2014. Retrieved 3 September 2013. ^ Queremos zonas de libre comercio tanto al Este como hacia el Oeste Archived 3 November 2013 at the Wayback Machine El Pais. 4 June 2013. ^ a b "Евгений Шевчук: бюджет Приднестровья–отражение реальной ситуации в экономике". RU: Nr2. Archived from the original on 14 March 2012. Retrieved 30 June 2012. ^ "Shevchuk answering a question about 2007 Transnistrian budget". VSPMR. Archived from the original on 7 February 2012. Retrieved 30 June 2012. ^ "Shevchuk explaining that economical situation is not critical". VSPMR. Archived from the original on 7 February 2012. Retrieved 30 June 2012. ^ Transnistrian Republican Bank, Tiraspol: CBPMR, 2007, archived from the original on 10 July 2008 . ^ "Tirotex official website". Tirotex.com. Archived from the original on 5 February 2012. Retrieved 30 June 2012. ^ "Annual Report of Inter RAO UES" (PDF). Archived (PDF) from the original on 7 March 2012. Retrieved 30 June 2012. ^ "Several Transnistrian officials were banned from traveling through EU" (PDF). Archived (PDF) from the original on 23 June 2016. Retrieved 30 May 2013. ^ "Russian version". Archived from the original on 15 April 2011. ^ Lobjakas, Ahto (11 October 2005). "Western Diplomats Say Reports Of Smuggling From Transdniester Likely Exaggerated". RFE/RL. Archived from the original on 17 June 2008. Retrieved 30 May 2013. ^ Conflict Studies Research Centre, Moldova & The Dniestr Region: Contested Past, Frozen Present, Speculative Futures? Archived 26 June 2008 at the Wayback Machine, Graeme P. Herd. (in Russian) Radio PMR. Radio-News. Pridnestrovie administration. Grigoriopol is a town in Transnistria autonomous territorial unit, Moldova. 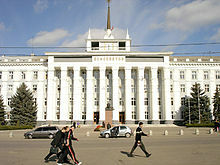 It is the seat of the Grigoriopol District of Transnistria. The city is located on the left (eastern) bank of the river Dniester at 47°09′N 29°18′E, in central Transnistria. Grigoriopol is composed of the city itself, and a small village Crasnoe (Красное). The town itself had a population of 11,473 in 2004. The coat of arms of Transnistria constitutes a remodeled version of the former Moldavian Soviet Socialist Republic emblem, as substituted by the internationally recognized Moldovan government after the dissolution of the Soviet Union in 1991. The only major pictorial change made in the Transnistrian version involves the addition of waves, representing the River Dniester. However, the inscriptions on the banner were changed: unlike the Moldavian SSR emblem, which bore the acronym "РССМ" and the USSR state slogan "Workers of the world, unite!" in the Russian and Moldavian languages, the Transnistrian emblem bears the name "Pridnestrovian Moldavian Republic" in the Moldovan, Russian and Ukrainian languages. In Moldavian, it reads "Република Молдовеняскэ Нистрянэ" ; in Russian, it reads "Приднестровская Молдавская Республика" ; and, in Ukrainian, it reads "Придністровська Молдавська Республіка". Despite the emblem's depiction of the hammer and sickle, Transnistria is not a socialist state. Although most commonly known in English as Transnistria, the official name of the region is Pridnestrovie. Here is a detailed explanation of the names used for Transnistria, both official and unofficial, as they appear in the local languages and in English. The state of affairs with human rights in Transnistria has been criticized by several governments and international organizations. The Republic of Moldova, and other states and non-governmental organizations (NGOs) claim that the government of Transnistria is authoritarian and has a record of arbitrary arrest and torture. The Armed Forces of the Pridnestrovian Moldavian Republic, are the military forces of the semi-recognised state of Transnistria. The Armed Forces were created on 6 September 1991 to protect the sovereignty and independence of the Pridnestrovian Moldavian Republic, in accordance with Article 11 of the Republic's Constitution.